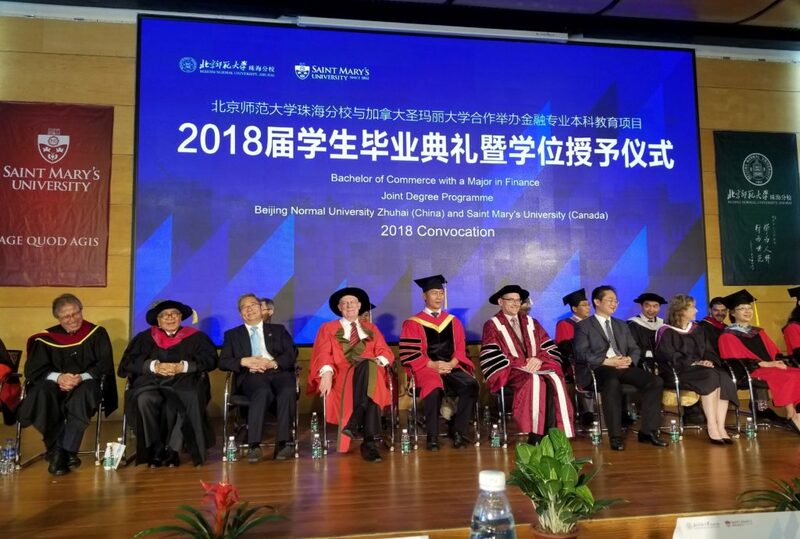 The first convocation of 78 students at the campus in China at Beijing Normal University in Zhuhai (BNUZ) was held on Sunday, June 24. 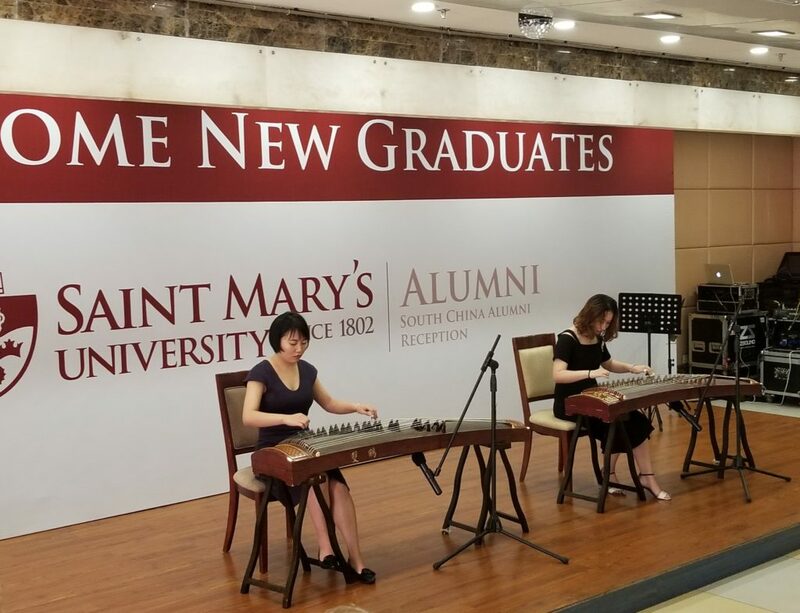 After four years of study, these 78 students graduated with a joint degree from both universities. 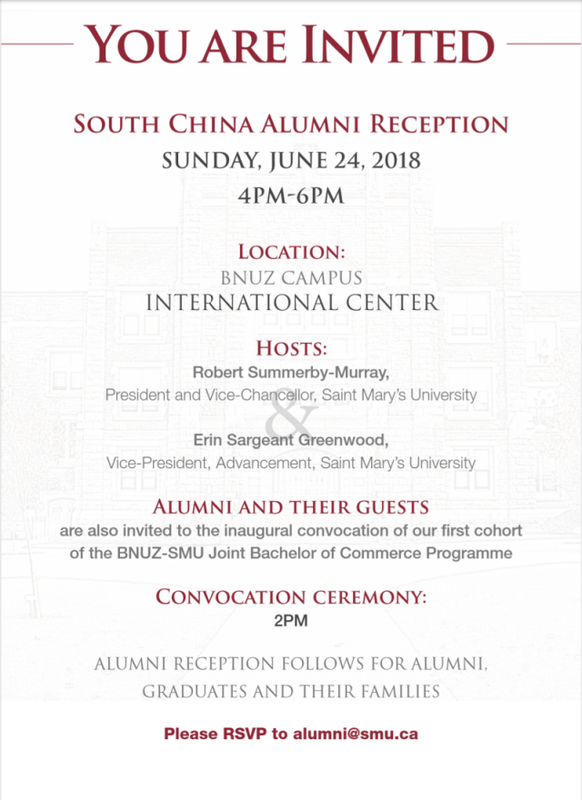 SMU alumni currently residing in Hong Kong and Macau were also invited to go to Zhuhai to witness this historic event of SMU. 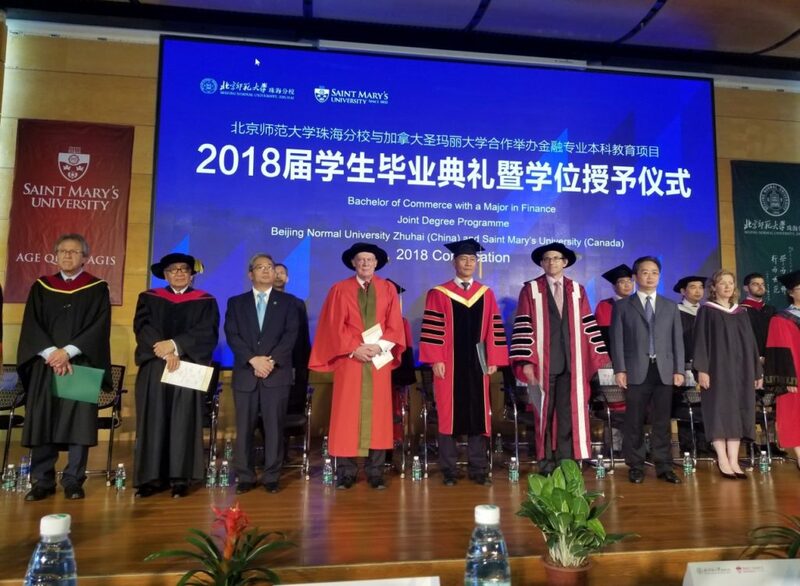 The academic staff of both universities as well as invited guests proceeded to the stage and were greeted with applause. 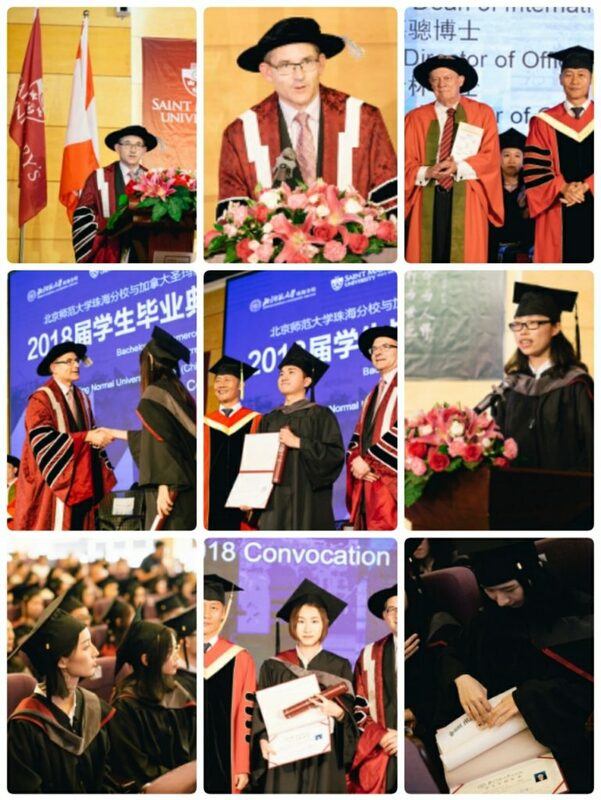 Here are some of the highlights of the convocation ceremony. 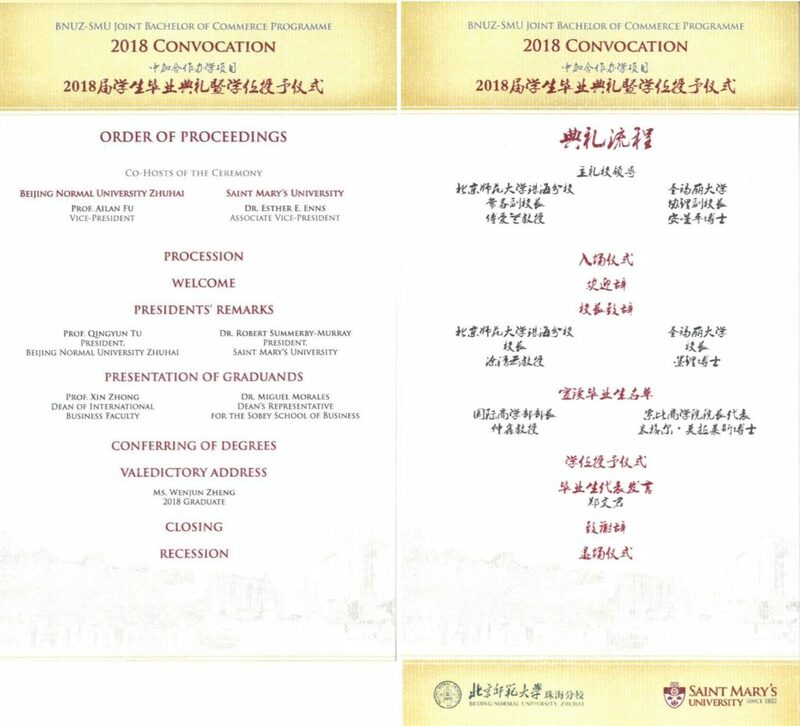 Upon completion of the convocation, we were about to remove our gowns and go to the South China Alumni Reception. 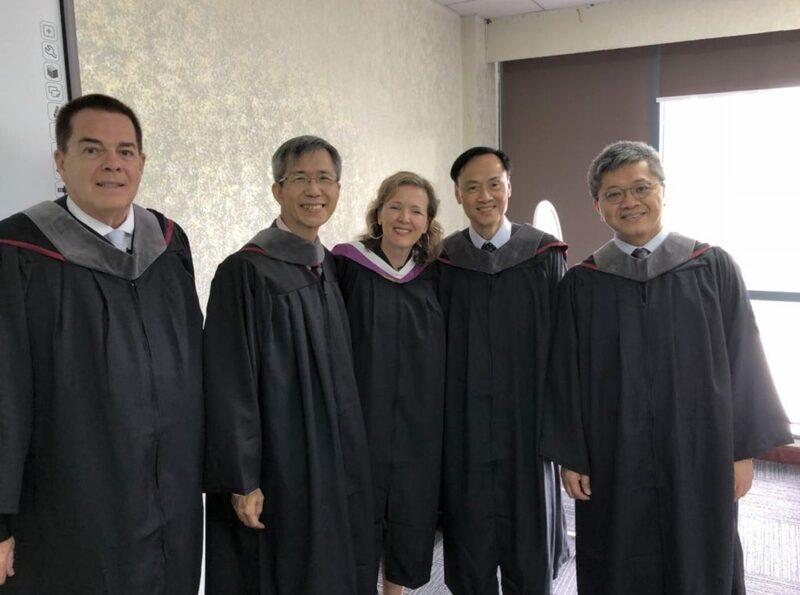 Accompanying Mrs. Erin Sargeant Greenwood, Vice President of Advancement, were (from left) Hugh MacLean (from Macau), Jimmy Ho, Sammy Ho and Eric Mok (from Hong Kong). 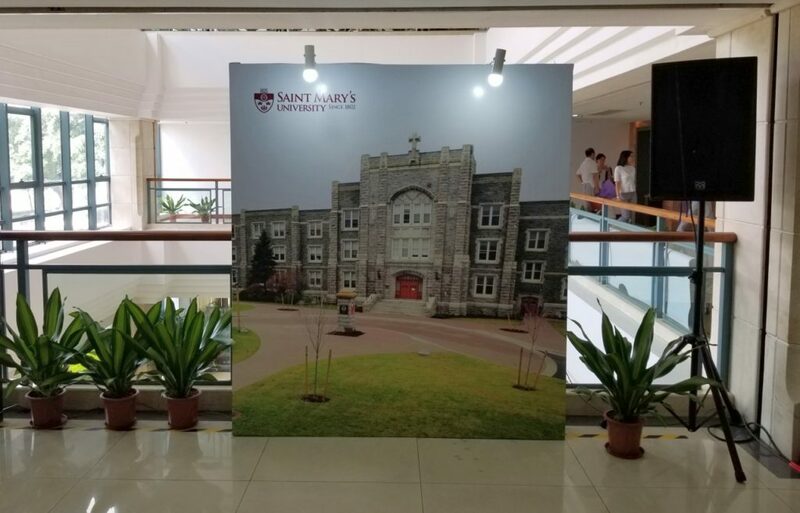 A photo of the front entrance of our alma mater was displayed at the entrance of the hallway leading to the reception. 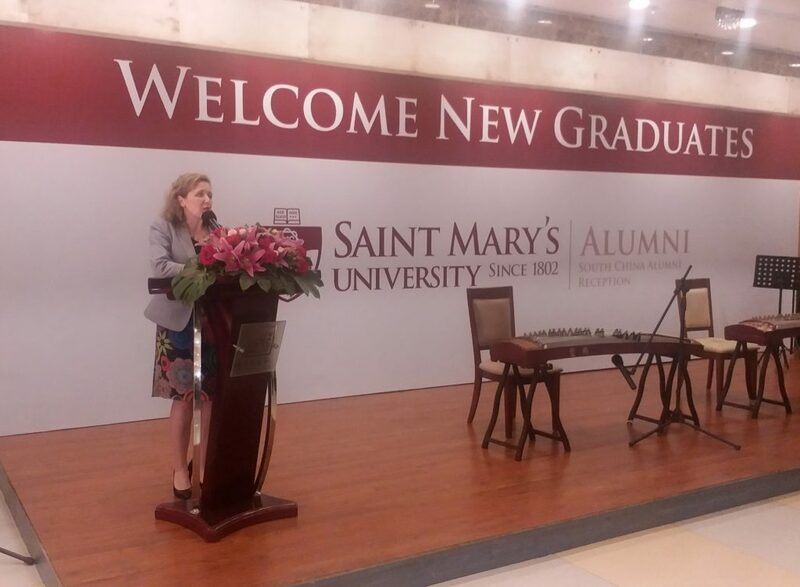 Erin Sargeant Greenwood, Vice president of Advancement, was delivering an address to the new graduates and invited guests.